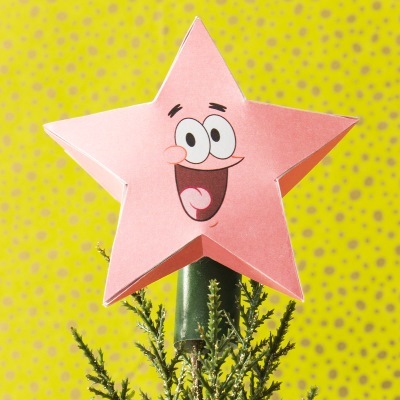 This printable Patrick Christmas tree topper is offered by Nickelodeon as a project to do with your kids. Easy to build, the finished star measures about 7" (18 cm) tall. 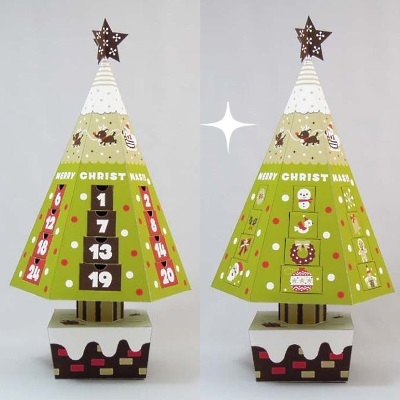 The PDF template for the papercraft ornament may be downloaded here. Patrick, as you well know, is the faithful starfish sidekick of SpongeBob SquarePants. In one corner of the Marvel Comics multiverse is a universe of anthropomorphic animals. In this universe there are super-heroes that are parodies of heroes in the main Marvel universe. One such hero is Spider-Ham, a spider named Peter who is bitten by a radioactive pig. Peter transforms into a pig himself, but retains his spider abilities. 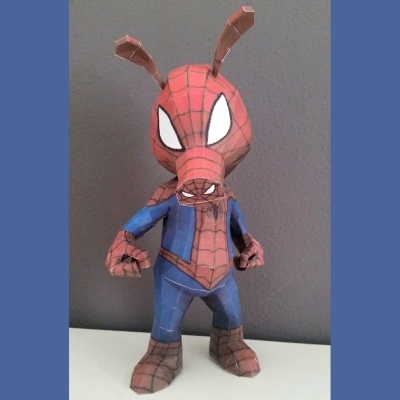 This paper model likeness of Spider-Ham was created by Rock-Paper. 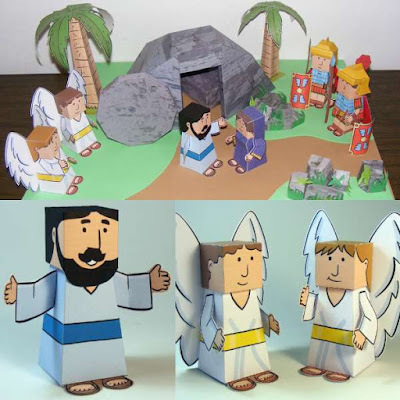 PDF and Pepakura PDO templates may be downloaded here. Other super powered animals in Spider-Ham's world include Ducktor Doom, Captain Americat, Iron Mouse, and Hulk Bunny. Star Wars: The Last Jedi is set to be released on December 15th. 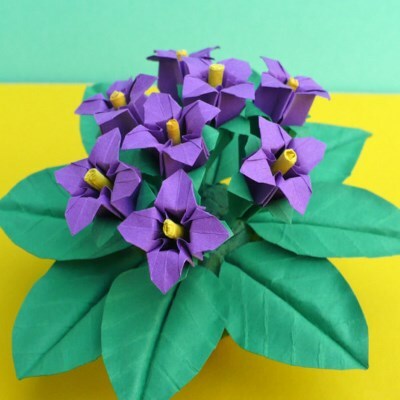 Not surprisingly, papercraft related to the movie is already being released. 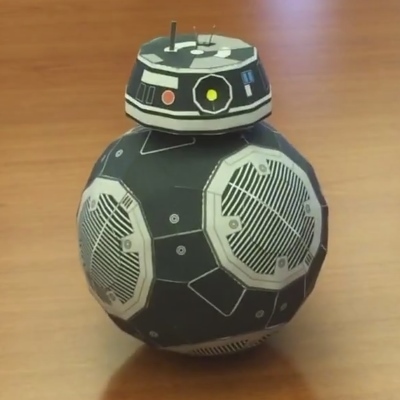 This paper model is of BB-9E, a New Order astromech droid of the same class as BB-8, the lovable droid who appeared in the previous movie, The Force Awakens. 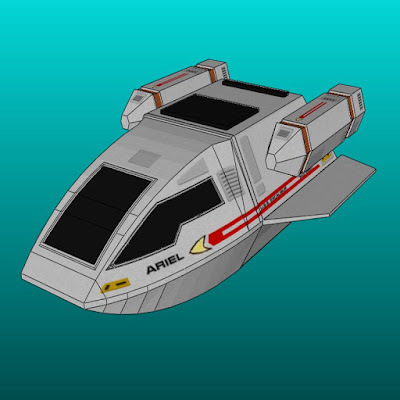 A download of the papercraft template for this model, along with video instructions, may be found here. The model may be modified into a fun desktop toy by adding a coin inside during construction. The weight of the coin then allows the droid to wobble back and forth without falling over. 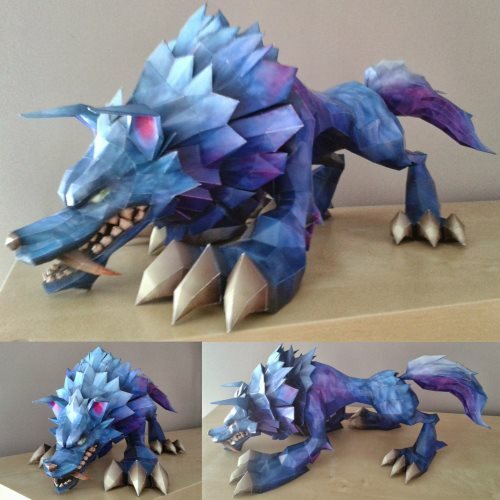 Here is another in the series of papercraft animals by DeviantART member DrWheelieMobile. This time we have a snow leopard! Snow leopards live in the mountainous regions of South and Central Asia in an area that spans twelve countries. 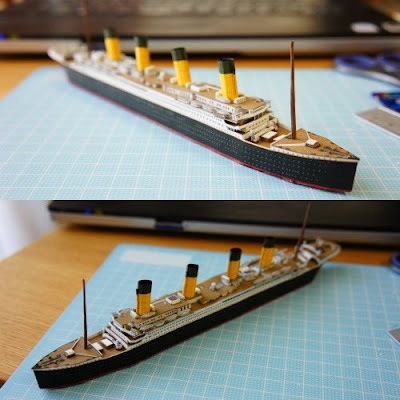 The template for this paper model may be found here. Included in the download are actually two leopard models, each with slightly different markings. 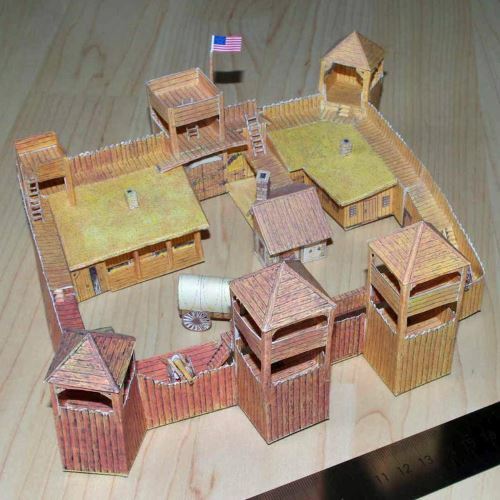 This paper model of a "western fort" was published in 1979 in a German children's magazine. Included with the model are a covered wagon and a canon. The template for the fort may be downloaded here. Palisade type forts such as this have been romanticized as part of the USA's "wild west" past. Build photo by SarienSpiderDroid. 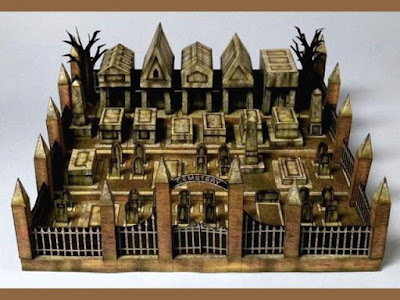 This papercraft automata was inspired by the 2014 stop-motion animated movie, The Boxtrolls. When put in motion, the troll beats his hands upon his chest. 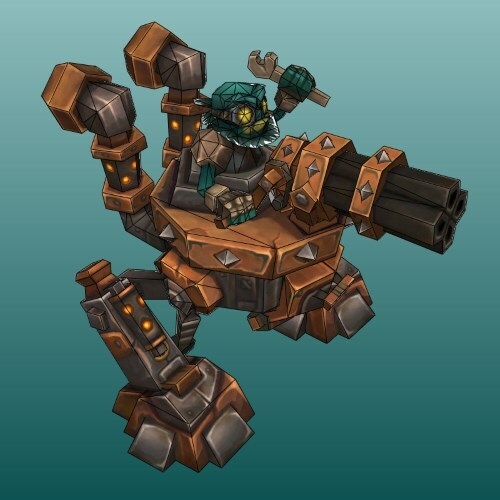 As an added feature, the troll's legs may be rotated forward so he can sit down. This model is a free sample from Griscatrina, a company that specializes in paper automata. To download the printable PDF for the troll go here and click on the words "Get free" in the last sentence in the paragraph. In the original Blade Runner movie, the Tyrell Corporation is the company that manufactures the human replicant workforce that plays a central role in the plot of the film. 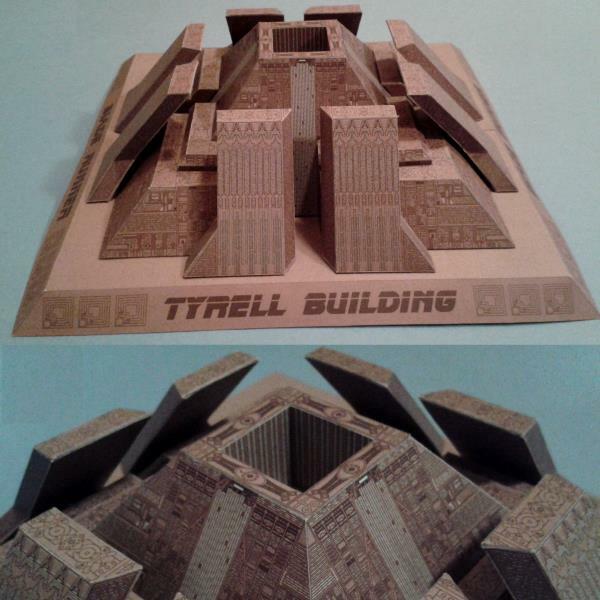 This paper model of the pyramid-like Tyrell Corporation headquarters building was created by Martin Sanger. 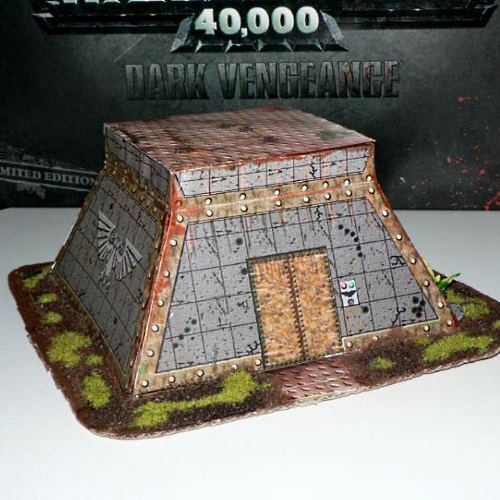 The PDF template for the model is available for download here. The long awaited sequel to the Blade Runner is scheduled to be released on October 6th of this year! 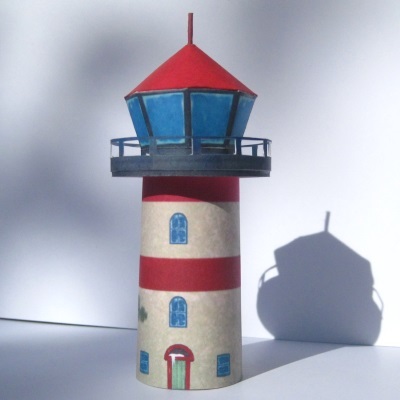 This lighthouse paper model was inspired by the video game, The Long Dark. Created by Hinterland, the game is described by the company as a "first-person post-disaster survival simulation". In the game the lighthouse is located at a fictional location in Canada known as "Desolation Point". 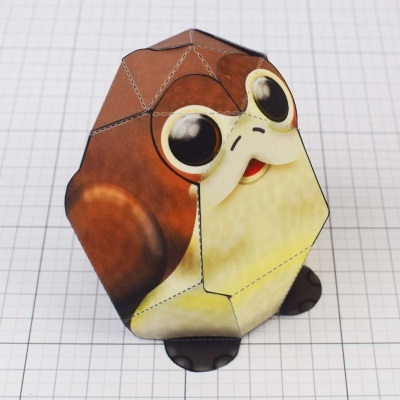 The PDF template for this papercraft may be downloaded here. "...one of the largest Autobots there is. He isn't much for words, preferring his massive frame and equally massive weapons to do the talking for him. Omega is the last line of defense for the Autobots, a titanic guardian robot capable of instilling fear and panic into the sparks of Decepticons that dare face him on the field of battle." 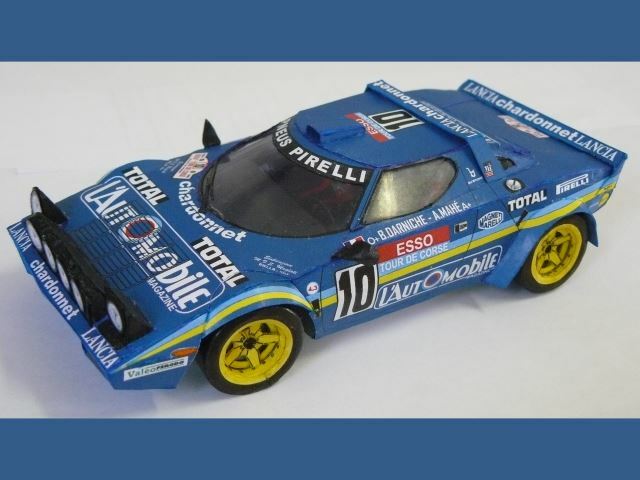 The PDF template for the model may be downloaded here. TIP: The model may be modified to be pose-able by making use of metal paper fasteners found in most office supply stores. Green sea turtles live in oceans around the entire globe. The turtle's name is derived from the green fat that is found beneath their shells. 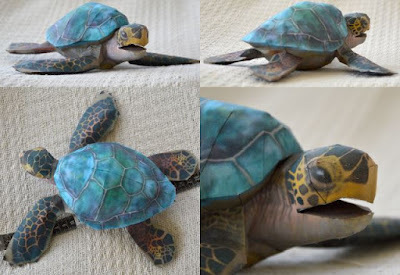 This papercraft green sea turtle was created by DeviantART member DrWheelieMobile and is based on a 3D model from the Zoo Tycoon video game. 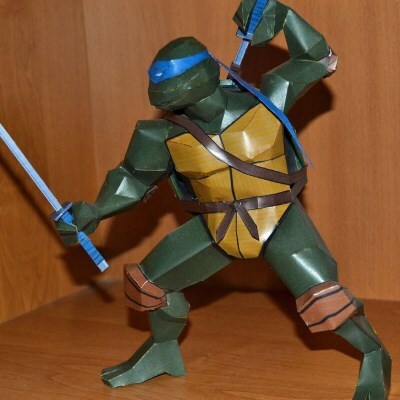 A printable template for the turtle model may be downloaded here. As green sea turtles' coloring varies, there are four different versions of the template included in the download. Green sea turtles are protected by law in most countries of the world. 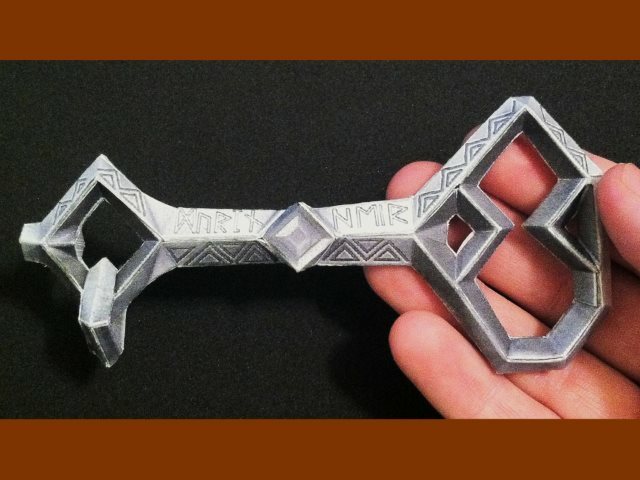 Here is a life-size paper model of the Key of Erebor as it appears in the movie The Hobbit: The Desolation of Smaug. Erebor (also known as the Lonely Mountain) was once the home of a clan of Dwarves who were driven out when the dragon Smaug arrived to take up residence in the place. The template for this model was created by DeviantART member N8S and may be downloaded here. 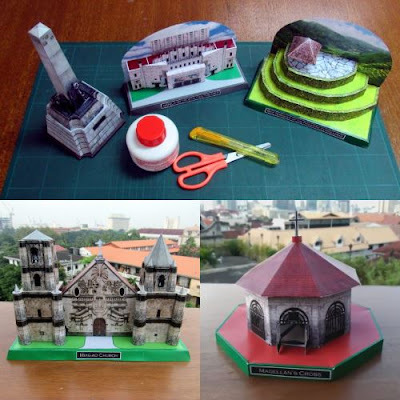 This photo shows five of twelve free architecture paper models offered by the Republic of the Philippines National Commission for Culture and the Arts (NCCA). 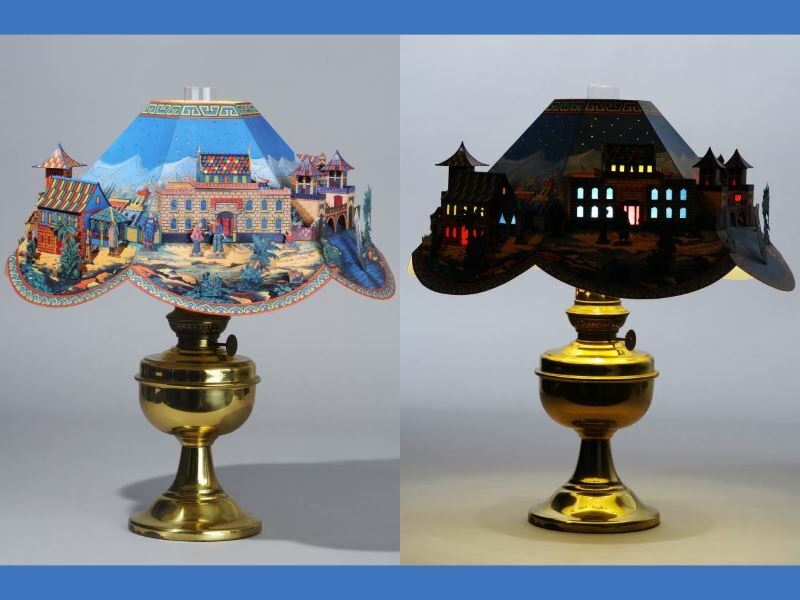 The collection includes monuments, a theater, shrines, churches, a palace, and a mosque. Each of the models represents a piece of architecture that is significant in the history of the Philippines. PDF templates of the paper models may be downloaded here. 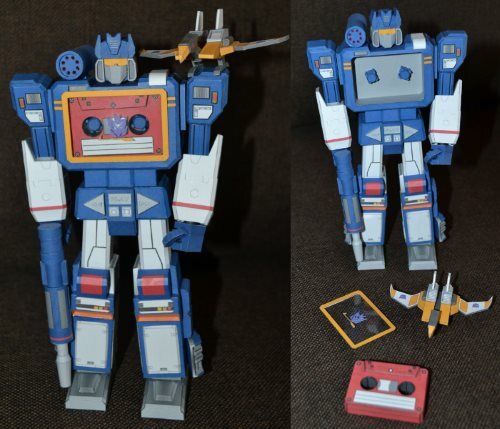 In the Transformers G1 universe, Soundwave is a Decepticon who transforms into a micro-cassette player. Soundwave commands an army of "cassette troops" who, when in their cassette form, may be stored in Soundwave's chest. 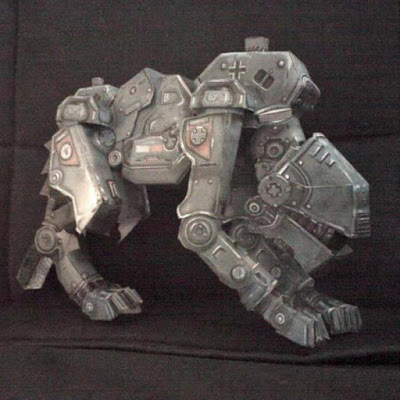 The Decepticon cassettes in most cases transform into robot animals that are warrior spies. 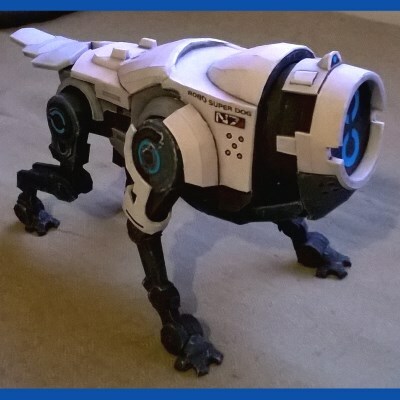 This papercraft Soundwave and Decepticon cassette bird of prey Buzzsaw were created by DeviantART member BHAAD. 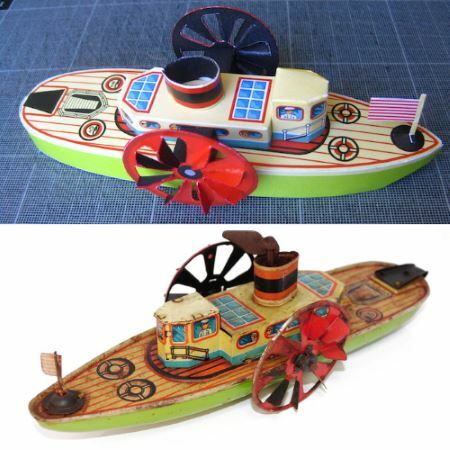 Templates for these paper models may be downloaded here. Here's a novel idea: instead of buying pre-printed patterned origami paper, how about printing paper with a pattern of your own design. 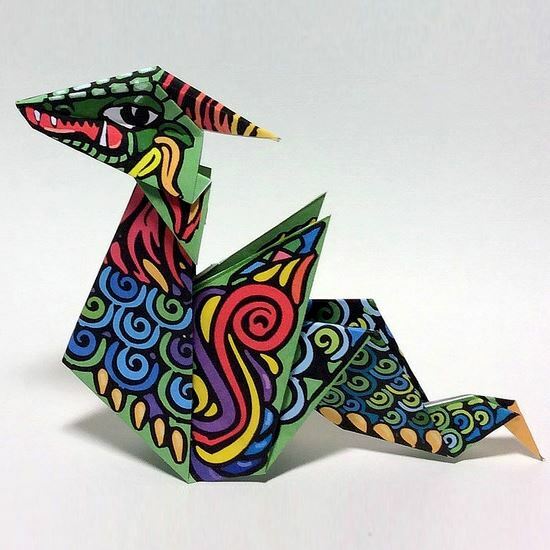 That is exactly what Jacque Davis did with this print and fold origami dragon. A copy of her template may be found on Jacque's Flickr page. I really like what she did with the colors and geometric designs! 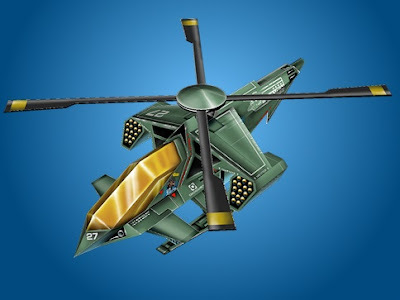 This futuristic papercraft helicopter was originally published in the August 2010 issue of ABC, a Czech language magazine for children. 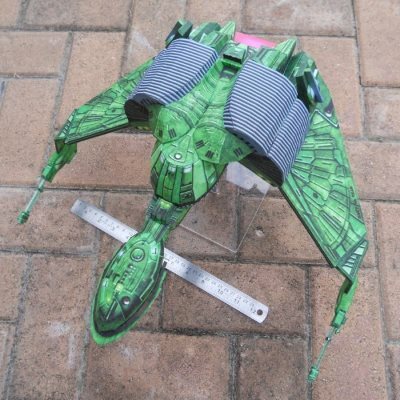 To our good fortune, designer Jan Rükr, now graciously offers the template for the helicopter on his personal website: Aliens Papercraft. 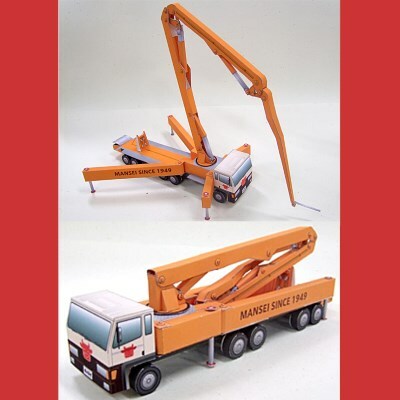 Although the instructions are in Czech, excellent 3D diagrams allow even a non-speaker of the language to easily build the model. The official name of the helicopter is the "Raven 4". 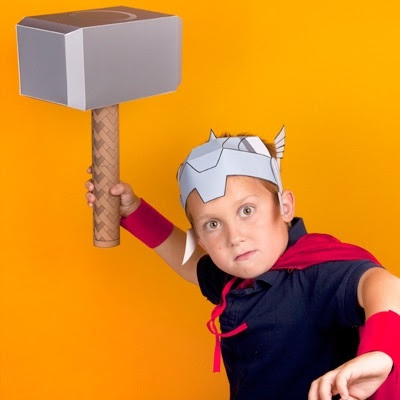 I have featured several different paper models of the war hammer of Marvel Comics' Thor, but this is the first one that is specifically scaled for children. 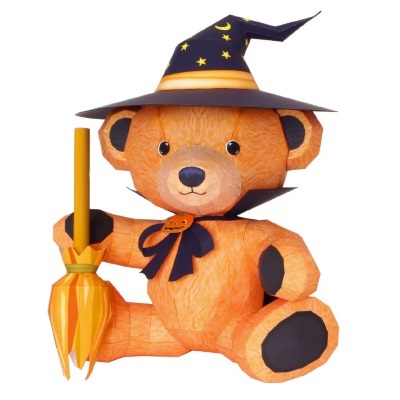 Offered by the Disney Family website, the template for this model may be downloaded here. In both Norse mythology and also in comic books published by Marvel, Thor's hammer is named "Mjolnir". Looking for the Thor helmet in the photo? It is located here. Here's a bust of Marvel Comics' Black Cat (no pun intended!). 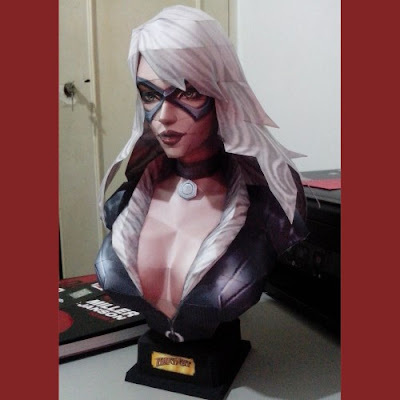 The Black Cat, whose real identity is Felicia Hardy, has a long romantic history with Spider-Man. At one point in their relationship she gained his trust enough for him to reveal his secret identity to her. The template for the bust may be downloaded here. The download includes both Pepakura PDO and PDF files. Model design by Paper-Rock. 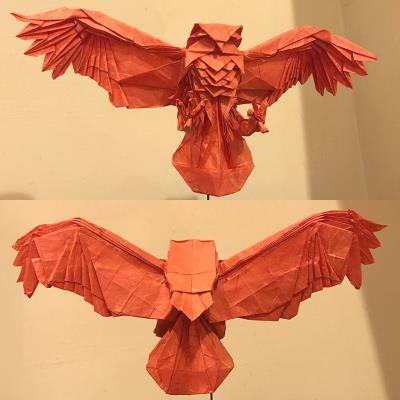 Build photo by Hugo-Drax. 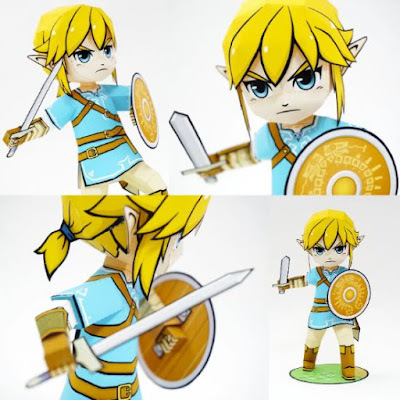 Out of the papercraft that has been released for the new Legend of Zelda: Breath of the Wild video game, this Link model has to be my favorite. Given the style of this papercraft, it might look like a model from the 2002 Wind Waker game, but it is actually a chibi version of how an adult Link appears in the newest game. A download of the template may be found here. Breath of the Wild was released in 2017. 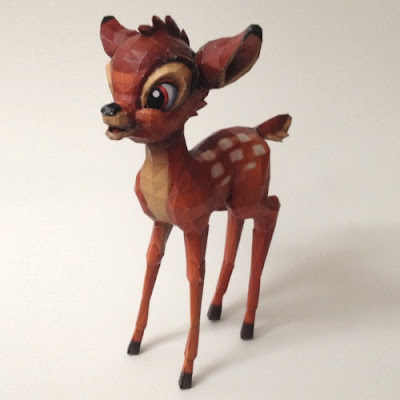 I am not sure, but I believe this papercraft of Disney's Bambi was based on a 3D model from one of the Kingdom Hearts video games. 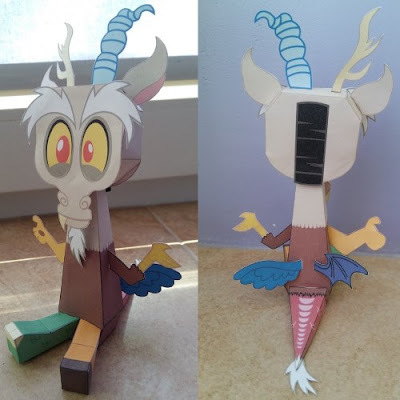 The paper model does a good job of capturing the lovable deer's likeness in 3D form. Pepakura PDO, PDF and also JPG templates for Bambi may be downloaded here. 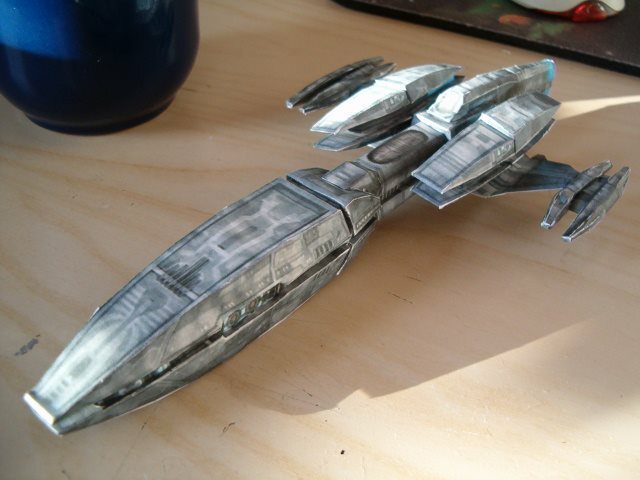 Model design by Corbak. Build photo by Wolfose. 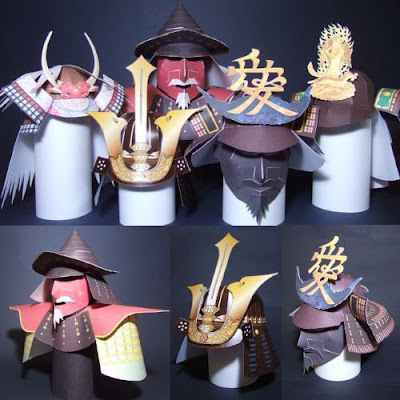 This collection of life size papercraft samurai helmets was based on historic helmets held in museums in Japan. 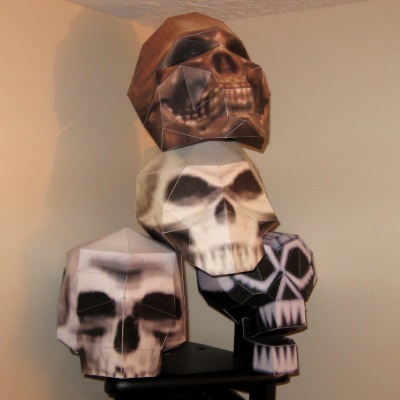 The artist who designed the helmets is Kimura Yoshitaka. PDF templates for the helmets may be found here. If you don't know Japanese, it may take you a while to figure out which links to click. ^^ The era of the samurai lasted from the 12th century until the 1860's. The 2016 video game Overwatch features a female character named Tracer. Through a freak accident, Tracer gained teleportation and time travel capabilities. A device strapped to her torso allows her to control her powers. 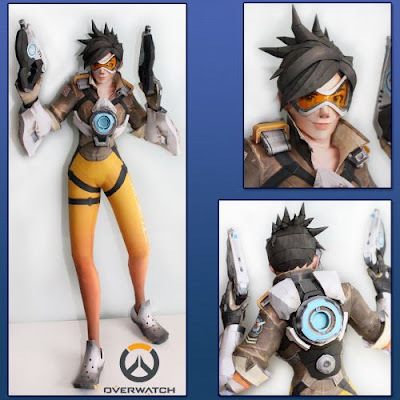 This paper model of tracer was created by DeviantART member Avrin-ART. 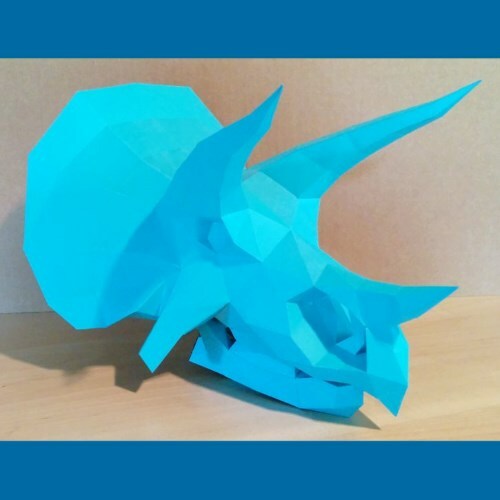 A 74 Mb papercraft template download (available here) includes Pepakura PDO files as well as photo instructions. One of the more difficult parts of the model is the transparent goggles. 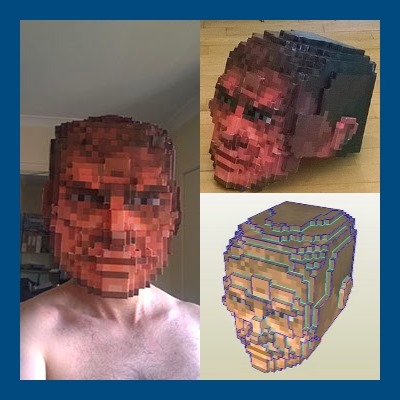 Avrin gives the model difficulty level a 9 out of 10. This is a sampling of a collection of nineteen Sailor Moon finger puppets that were once offered by the now defunct website, Kinmoku.net. 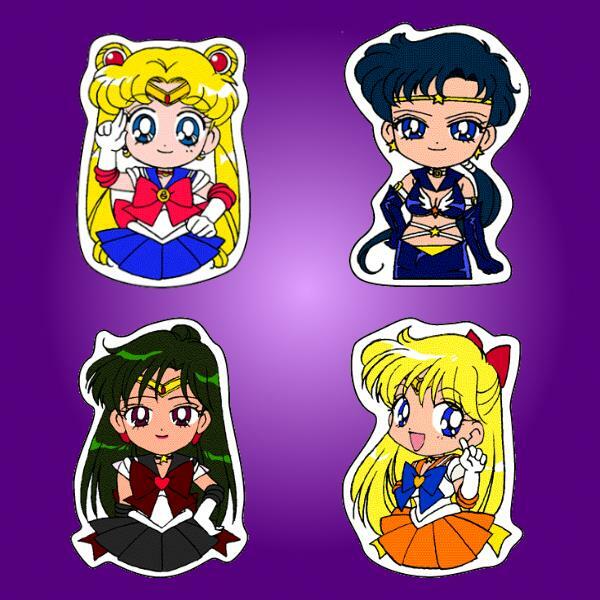 I am no Sailor Moon expert, but the collection appears to include a puppet for every major character in the anime series. The printable PDF templates for the puppets may be downloaded here. 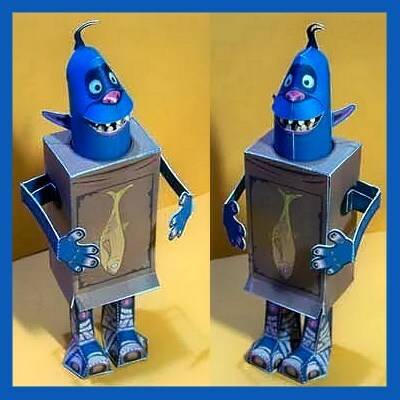 The templates are large format and should be printed "fit to page" on either Letter or A4 size paper in order for the puppets to be at a usable size. The Java sparrow (sometimes called a Java finch) has been a common cage bird in Asian countries for several centuries. 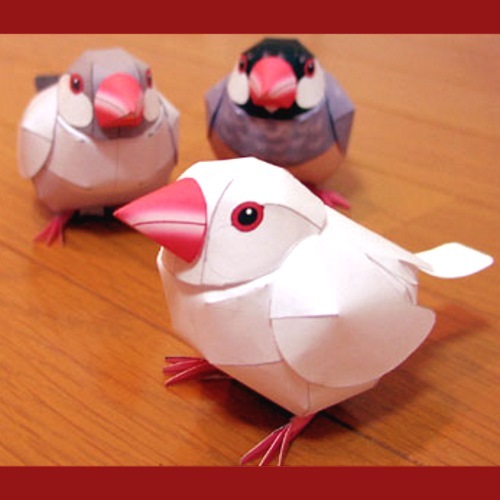 These paper models of Java sparrows were created by Marubun. PDF templates for the birds may be found at the bottom of the page here. 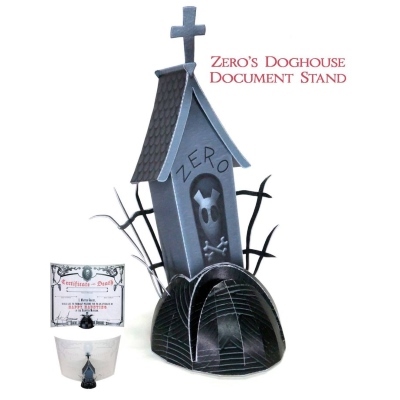 There 27 color variations of the model available, including an uncolored version which may be colored as you wish. 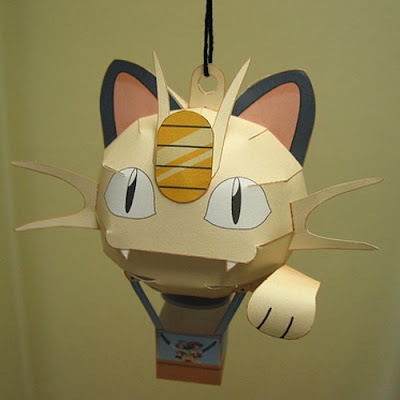 This papercraft Meowth balloon was originally released in 2007. 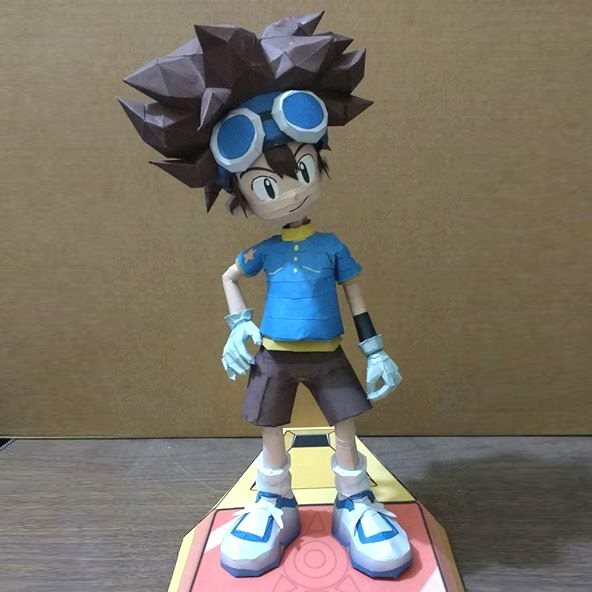 The Pokemon company commissioned papercraft designer Chokipeta to create the model to celebrate the release of the Diamond and Pearl versions of the Nintendo DS Pokemon game. A copy of the PDF template for the balloon is still available here. In the Pokemon anime, a Meowth hot air balloon is the preferred mode of transportation of Team Rocket members Jesse and James.